Canada’s foremost expert on mosquito-borne viruses is warning that we are due for outbreaks of WNV, EEE and WEE. Find out what you can do to protect your horse. 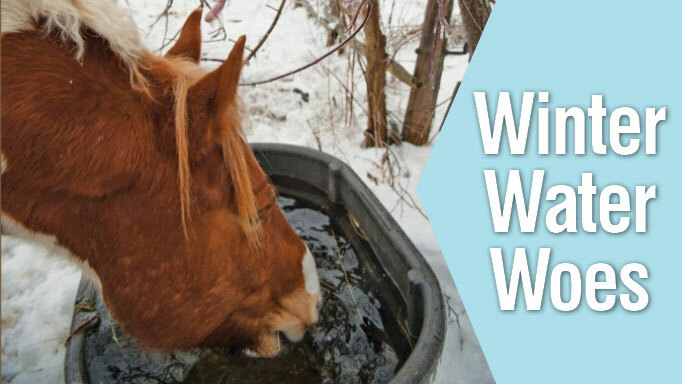 West Nile Virus (WNV) has been a part of most Canadian horse owners’ lives for just over a decade. We hear about it in the media, vaccinate against it and worry about our horses contracting it. WNV closely resembles two other mosquito-borne viruses (or arboviruses) that affect North American horses: Eastern Equine Encephalitis (EEE) and Western Equine Encephalitis (WEE). All three usually occur in summer/early fall, are unpredictable and climate dependent, their incidence rate can vary from year to year and they re-appear after falling off the radar for long stretches. “It’s kind of interesting, when we talk of Eastern and Western Encephalitis and West Nile, we have almost an identical syndrome with the same players,” said Larry Frischke, Manager, Veterinary Services – Bovine, Equine for Zoetis (formerly Pfizer Animal Health). Transmitted by the bite of infected mosquitoes, the viruses can cause encephalitis – or inflammation of the brain – resulting in an assault to the central nervous system. The viruses are fatal in some cases, or they can leave the horse with permanent, debilitating effects. Wild birds such as crows, ravens, magpies and blue jays are the amplifier species for the viruses. When a bird first becomes infected by a mosquito, the virus replicates and produces a high level of viremia (virus in the bloodstream). When an uninfected mosquito feeds on that bird’s blood, it then becomes infected and is considered a vector, passing the virus on to other birds and to warm-blooded animals. Frischke says fledglings in the nest are especially culpable in spreading the viruses. “They’re like sitting ducks, so they really help to amplify the virus early in the season. When they leave the nest and fly away, then they’re hard to catch up to, so the mosquitoes look for other things to prey upon, and that’s when mammalian species become more sought after. And the two most susceptible species are the horse and the human,” he said. Humans and horses are dead-end hosts, meaning they don’t carry enough of the virus in their bloodstream to infect additional mosquitoes and can’t pass it on to other animals. “So, to have that same vector-host cycle and the same end-species for all three viruses is kind of unique,” said Frischke. The viruses run through epidemic-endemic cycles. When WNV was first detected in New York in 1999, for example, it was new to the continent and the amplifier bird populations were naïve, or had no protection from the virus. As Frischke says, WNV was able to “run rampant” and that caused North American epidemics in 2000 to 2003. “Usually in that first epidemic year, the numbers are much greater than any subsequent flare-ups you might see down the road,” said Frischke. Those flare-ups are called endemic waves. When a bird is infected, either it dies or it fights the disease and develops immunity. This results in ther being very few susceptible amplifier species in the years immediately following a year of high incidence. Over subsequent years, the number of immune or virus-resistant birds declines, leaving a new population of naïve birds. Both Saskatchewan and Alberta saw their epidemic year in 2003, with the first endemic peak in 2007. That suggests that within four years the wild bird populations lost enough immunity that they were ready for another insult from the virus. There were next to no incidences of the virus in the past three years, until late last summer when five cases were identified in Alberta and 10 in Saskatchewan. Canada on the whole saw a total of 48 cases – the highest number since the initial endemic peak in 2007. Meanwhile, the US, which had its epidemic year in 2002 with nearly 15,300 cases, and peaks in 2004 through 2006, looks to be on the upswing as well, with 618 cases in 2012 – more than 500 over 2011. “That tells me that the virus made a little resurgence. It’s acting up. So, if we get the right mosquito populations this year, it could take it into another endemic wave,” said Frischke. EEE also appears to be making a comeback. And that is worrisome because it is extremely virulent. The death rate for infected horses is 90 per cent, compared to WEE at 50 per cent and WNV at 30 per cent. “It’s a nasty sucker,” said Frischke. 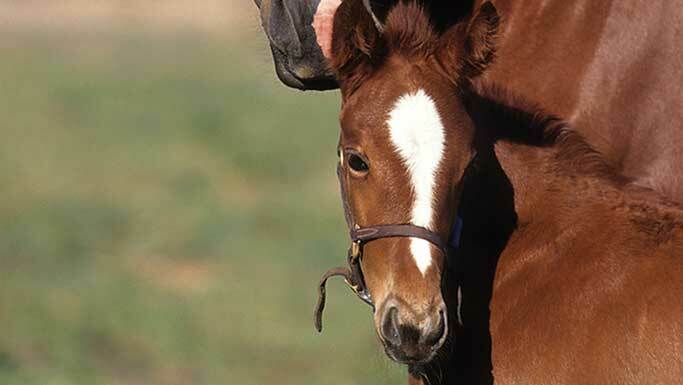 First identified in Canada in 1938, it reappeared in 1992, when two Ontario horses were diagnosed. Now it’s affecting horses in both Ontario and Quebec. In fact, in some years since 2009, the provinces have reported more cases of EEE than WNV. And with more than 200 confirmed cases in the US last year, it’s the leading form of mosquito-borne encephalitis in the east and southeast US. Canada hasn’t seen WEE in horses since the late 1980s, and there have only been sporadic outbreaks in the western US. There are thoughts that the risk of EEE and WEE exposure could be increasing because people – presumably with their animals – are increasingly moving into previously undeveloped areas where these viruses thrive – mainly swampy locations. Also, Frischke said some experts speculate that there is complacency around vaccinating for EEE because it has been absent for so long. He added that people also seem to be backing away from vaccinating for WNV, perhaps because it hasn’t been as prevalent in recent years. While the statistics for the viruses offer general figures to go by, they are skewed by poor surveillance and reporting. 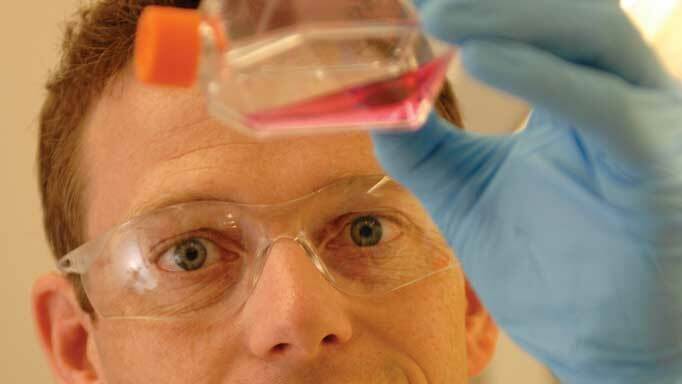 After the first few years of WNV, for example, veterinarians who had become familiar with symptoms would give supportive treatment and save the client from incurring the extra costs of getting the diagnosis confirmed at a laboratory, said Frischke. Consequently, many cases were never reported even though WNV, as well as EEE and WEE, are immediately notifiable diseases to the Canadian Food Inspection Agency under the federal Health of Animals Act. When WNV first hit, the public was asked to send in dead birds for testing to monitor the disease’s spread. Experts used the birds as sentinel animals to detect when the virus had entered a new region, thereby providing an alert to potential human risk. Frischke said the findings were not shown to be of much value once WNV had entered a region, so it is no longer done. And mosquito pool surveillance still occurs, said Frischke, “but we’re not hearing much about it.” Therefore, he said, the true sentinel animals are human beings. Before vaccines were developed for EEE and WEE in the 1930s, outbreaks varying in severity occurred regularly in North America. The WNV vaccine was released in the US and Canada in 2001 after only one year of efficacy and safety testing and approvals. “Someone had the foresight when this thing hit in 1999 in New York that they grabbed a strain of the virus from one of the dead birds. Once it was identified as West Nile they started research on developing a vaccine right away. So, we were well into it when the next year hit,” said Friske. Regulatory agencies realized this and allowed the vaccine to be launched with a conditional approval. The efficacy of WNV vaccines is very high. “For whatever the reason, it’s a vaccine that really clicks,” said Frischke. 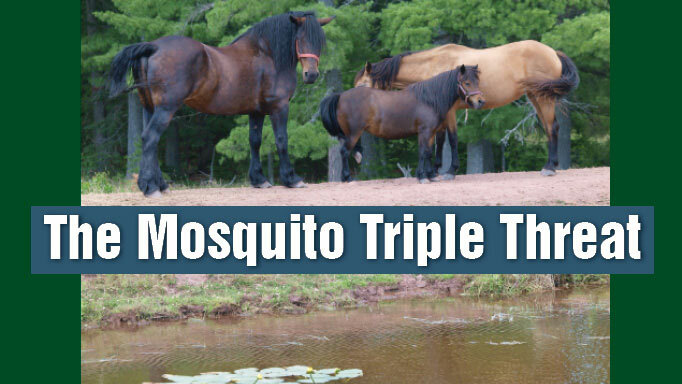 Horses should be vaccinated in May or June, prior to peak mosquito levels. Some horses might need a booster later in the summer in higher-risk areas. While vaccinating is by far the most effective way of preventing these viruses, it isn’t fail-proof. Eliminate mosquito breeding grounds – stagnant or standing water: i.e. tires, troughs, bird baths, buckets, tarps on hay stacks, truck boxes, eavestroughs. Trim long grasses and weeds around the farm. Put screens on barn windows. Use fans in stalls and barn aisles to provide air flow. Consider where you’re travelling with your horse. Travelling to areas where the viruses are endemic could put him at risk. The clinical signs of the three viruses are nearly identical. After an incubation of about five days to two weeks, symptoms can occur. Depression, lethargy and apprehension are common and sometimes aggression. The horse may also have a fever. Neurological signs include weakness (particularly in the hind end), incoordination, head pressing, muscle twitches, lip paralysis, blindness and teeth grinding (which Frischke suspects is due to an intense headache – a commonly described symptom among humans.) The symptoms may progress until the horse goes down and is unable to rise. But “once they’re down, usually they’re gone. It’s pretty hard to reverse that,” said Frischke. If the horse does survive, chances are he will never be the quite the same as he was before. But then, some horses recover fully. It depends on the horse’s immune system, said Frischke, who talks about a US barrel racer with WNV who successfully returned to competition versus an Ontario show jumper who “couldn’t even jump over its own shadow” after contracting the virus. “It’s all over the map,” he said. Humans can contract Eastern and Western Equine Encephalitis and West Nile Virus, but instances are rare. Transmission is through the bite of an infected mosquito, although it has been proven that patients have also acquired WNV through blood transfusions, infants via breast milk, organ transplants and laboratory accidents while handling the virus. Most people who are infected do not develop symptoms at all or they might have a flu-like illness that lasts for a few days or weeks, from which they recover fully. In severe cases, infection can lead to encephalitis (swelling of the brain), meningitis (inflammation of the membrane surrounding the brain and spinal cord) or a combination of the two. A few of the symptoms are: headache, irritability, vision trouble, neck stiffness, confusion, stupor, tremors, seizures, paralysis, coma and death. People with weaker immune systems and chronic diseases are more likely at risk for fatal outcomes or serious and permanent effects. There is no specific treatment except supportive care, nor are there human vaccines. According to the US Centers for Disease Control and Prevention, EEE is the most deadly of the three viruses with a 33 to 70 per cent mortality rate. Those who survive the encephalitis stage will likely have permanent mild to severe brain damage. Luckily, EEE is rare. In Canada, no human cases have been reported and the US has had an average of six cases a year since 1964. WEE resembles, but it is not as virulent as, EEE, with a fatality rate of about three per cent. Children, especially those under one-year-old, are affected more severely than adults and are left with permanent brain damage five to 30 per cent of the time. In Canada, WEE outbreaks have occurred mainly in the prairies each decade since the 1930s when the disease was identified. About 20 per cent of people infected with WNV will develop flu-like symptoms, while one out of every 150 people will suffer neurological effects. Fatality rates range from three to 15 per cent and are highest among the elderly. The first confirmed human cases of WNV in Canada were reported in 2002 in Ontario and Quebec. To date, it has been detected in eight provinces. The highest number of cases reported was 2,400 in 2007. Last year, there were 450 cases, with the majority occurring in Ontario and Quebec, while the US saw about 5,000 cases, more than during the epidemic year, which has baffled researchers. 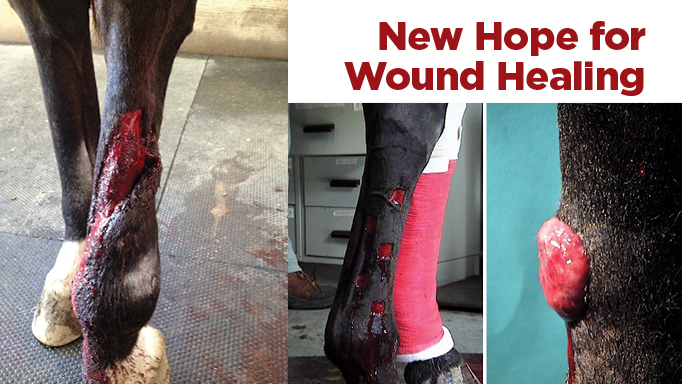 Researchers across the country are studying different ways to improve wound healing in horses.